Researchers are currently embarking on a major project where over forty different substances are being screened to see if they can be utilized as potent antibiotics. A research report describes how researchers are examining forty-six previously untested molecules as potential antibiotics. Each of these chemicals targets and disrupts an important step in the process of protein synthesis in bacteria, thereby making the bacteria incapable of replicating. Essentially this stops growth and therefore an infection from spreading. Although there are forty-six potential chemicals, the researchers began by testing around 663,000 different molecules against a strain of E. coli bacteria and monitored how the chemicals affecting the growth and survival of the bacterium. The more successful chemicals were then tested against the bacteria Shigella, known to cause food poisoning. 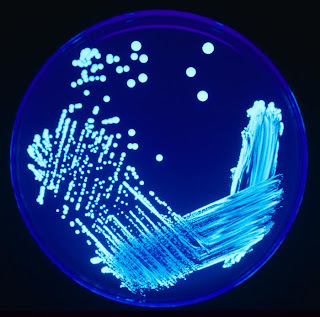 This genus is related to Salmonella and to the organism that causes anthrax (Bacillus anthracis), which sometimes can be lethal in humans and other animals. Currently one molecule appears very effective. The molecule is called KKL-35. This molecule appears to inhibit the growth of very distantly related bacteria and may have the greatest potential as a universal antibiotic.